Elements: They can't take any elements. Clan History: Saiyan clan members are known to be quite stubborn and temperamental, making them suitable for war due to those two features and their immense love towards fighting. The origins of this clan have been forgotten and are considered unknown, due to them focusing mostly on fighting, rather than preserving their own history and field of knowledge. They are shinobi which focus themselves on hand-to-hand combat and techniques which derivate from the so called senjutsu, although they do not share any kind of similarities with animals. One of the most well-known Saiyans within this shinobi clan was known as Radytz. He was the man that was capable of polishing up their system by adding a unit measure that became useable by the Clan Members in order to analyze their own power, so that they may determine who was worthy of being the so called Clan Leader. As such, a Saiyan who can achieve SSJ is considered to have a strength around 10 radytz, and every stage could have a different value of radytz. With this system, the Saiyan Clan Members were capable of electing their leader before they were forced to become scattered. The cause of this so called Exodus belonged to their Foolhardy nature that always caused fights between the members. Kekkei Genkai Description: Ascending is basically a form of senjutsu which allows the clan members to tap within the nature energy that resonates from the Earth in order to build up their chakra pools; however, the mechanism is exactly the same as senjutsu without the animalistic features. The techniques used by the Saiyan clan members are different since they have their own fighting style which is known to be unique towards them. On top of this, because the Saiyans have a different kind of training method and physique, they’re not capable of training within Ninjutsu; however, they start out with Senjutsu as a secondary specializations. 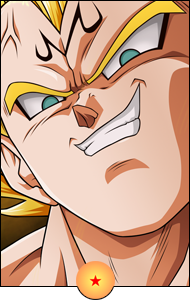 With that being said, the Saiyan Clan Members can have up to 3 Ascending Stages which grant them a small improvement upon their physical body, changing their jet-black hair within a glittering yellow color that indicates when they’re using the so called Ascending Mode, also their eyes become overtaken by a green color (this technique is not a dōjutsu). Like any other technique, this one consumes chakra upon activation and it continues to do so while remaining active. The members of this clan are known for having high chakra reserves, due to the fact that they are focusing themselves mostly on techniques which rely upon Senjutsu and Taijutsu. Using chakra to enhance their fighting style, therefore all members start with a Passive Buff of +20 Chakra. They are not allowed to have any kind of Elements. They are not allowed to have Ninjutsu. They must take Foolhardy as a Negative Trait, and this one cannot be balanced with a Positive Trait. Therefore, if someone wants to have 3 Positive Traits, they will need 3 Negative Traits + Foolhardy. Description: The Saiyan can Ascend and unlock the so called Super Saiyan Mode which transforms their jet-black hair within a golden-like color, while also letting their eyes overcome by a green color. There are three Ascending Stages known towards this particular clan, and the requirements to achieve them can be found within the next spoiler, also the bonuses which they grant upon maintaining. This technique is visible to the naked eye because of their hair and eye color changes; however, to top this off, a yellowish aura can be seen around them that gets intense as their technique improves (grants no benefit). 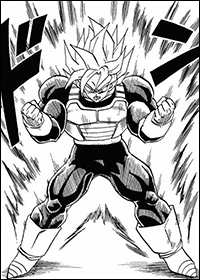 Description: While a Saiyan has this mode enabled, their Strength is increased by +1 Tier; however, due to the technique being imperfect, they will also get a -1 Tier on Perception. Description: While a Saiyan has this mode enabled, their Strength is increased by +1 Tier; however, there are no drawbacks on this mode. 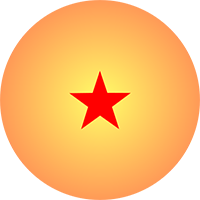 Description: While a Saiyan has this mode enabled which is considered the so called Final Stage, their Strength is increased by +2 Tiers, a perfect stage that grants no drawbacks.